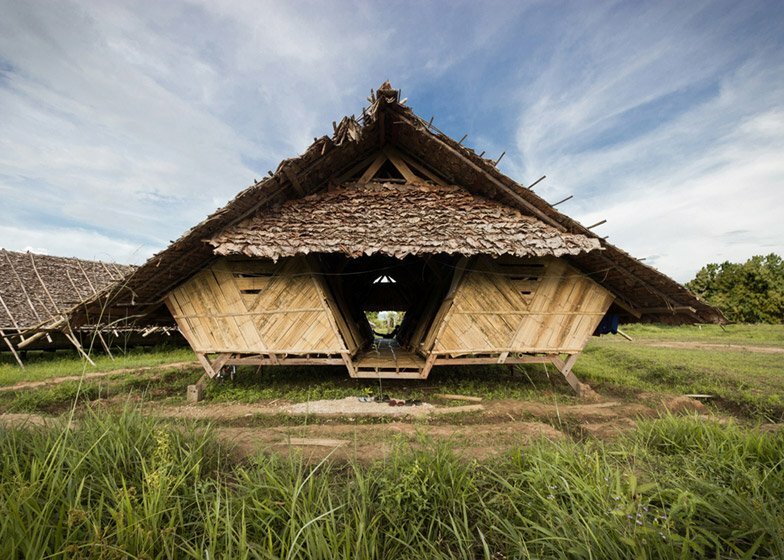 These timber and bamboo huts were designed by Agora Architects to offer temporary accommodation to refugees arriving in Thailand from across the Burmese border (+ slideshow). 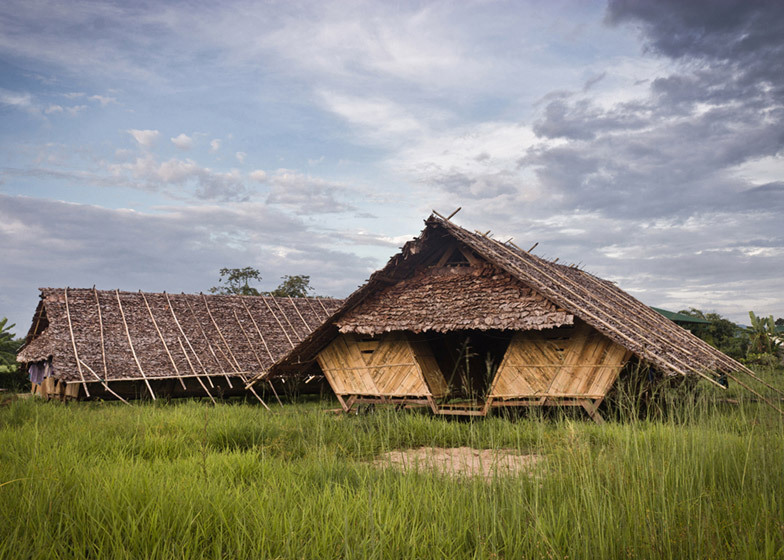 The Mae Tao Dormitories are located in the Thai village of Mae Sot, a few kilometres from the border of Burma – the south-east Asian country that has been embroiled in civil war since the 1940s. 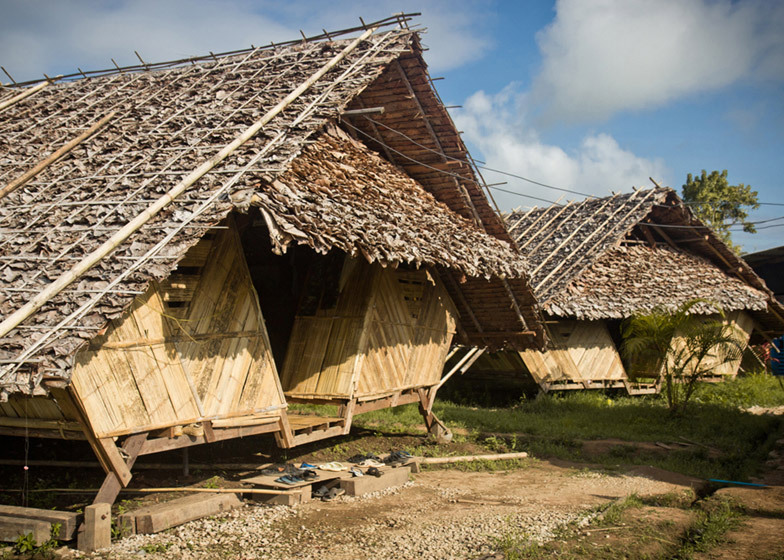 Working pro-bono, Thai studio Agora Architects developed a design for low-cost and easy-to-assemble residences to house some of the 800 immigrants currently residing at the CDC School. 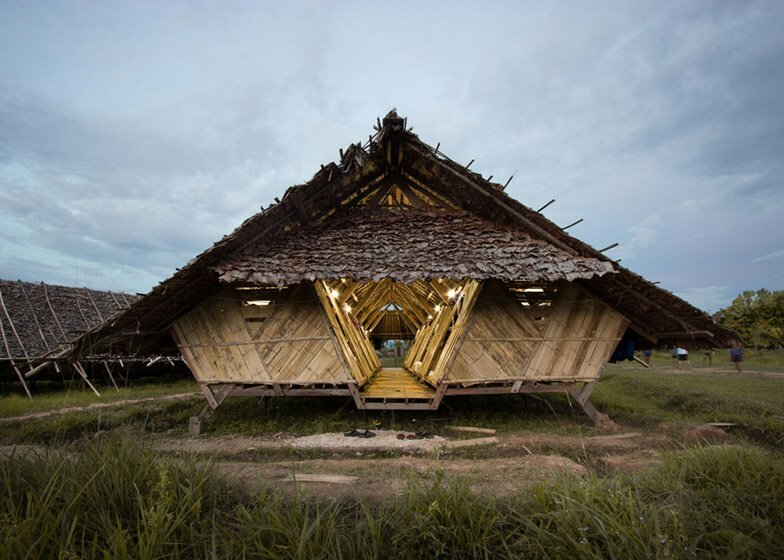 "The lack of space and, in many cases, the need for immediate accommodation for new students has forced the school to present a new model of temporary low-cost dormitories that are easy to assemble and can be built by using as many recycled materials as possible," explained Jan Glasmeier, one of Agora Architects’ three co-founders. 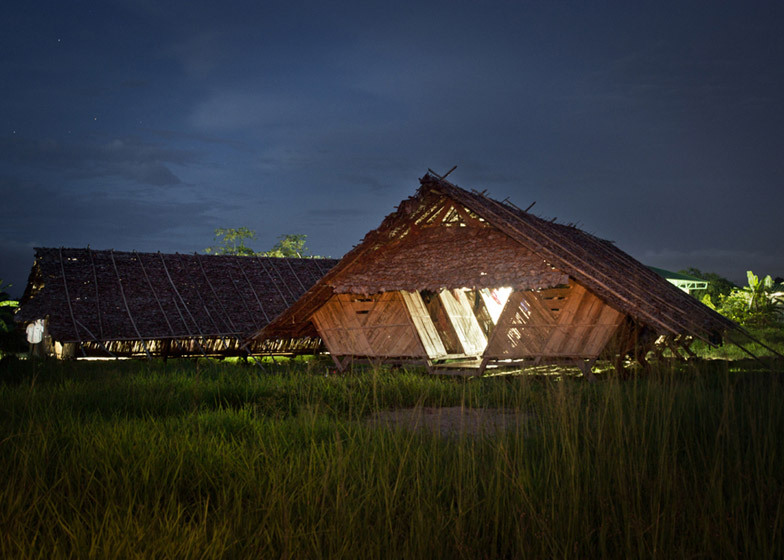 With initial funding from the Luxembourg embassy in Bangkok, the architects designed a gabled timber-frame structure that can be clad with locally sourced materials – in this case bamboo and thatching. So far, Agora Architects has completed five of the dormitories. The area is set at 75 square metres, allowing enough space for up to 25 people in each one. 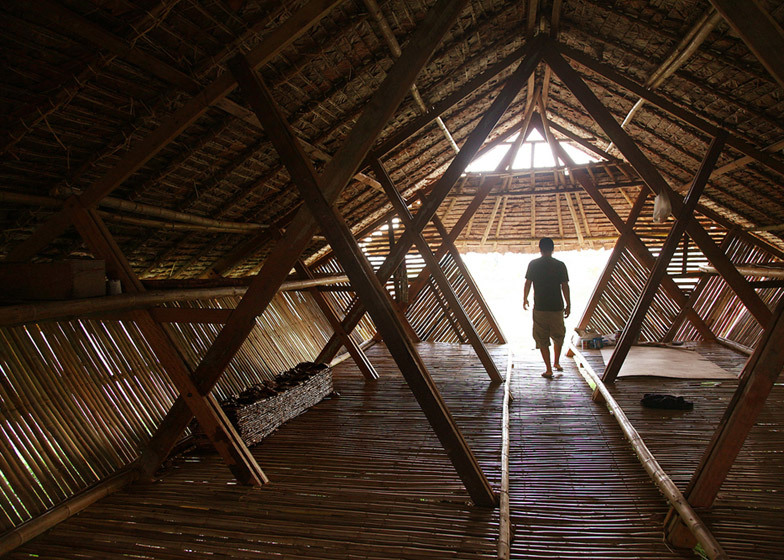 Like much of the local architecture, the structure was designed to be built from recycled timber, which accounts for around 70 per cent of the overall cost. But according to the architects, this material could be resold at around 80 per cent of the price if the building is no longer required. "The quality of available timber, mainly teak, at the Thai-Burma border is told to be one of the best in the world," said Glasmeier. "However, the price of the timber has risen by over 300 per cent in the last few years due to the deforestation and the illegal trafficking along the border. 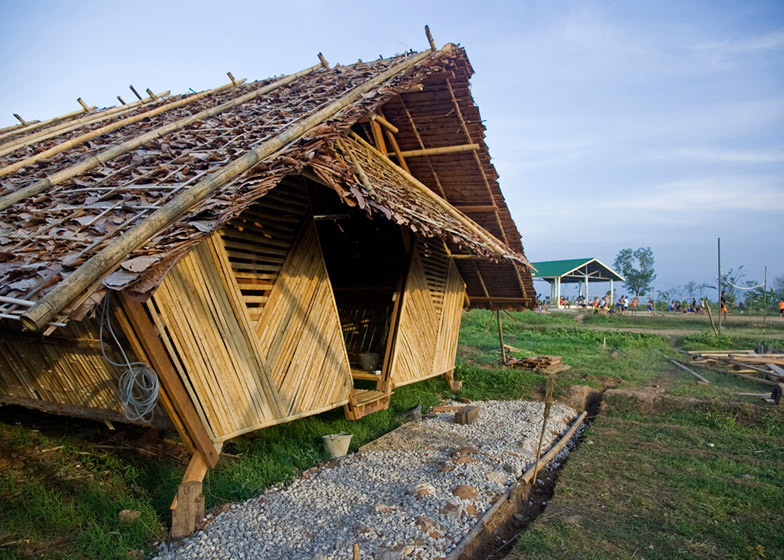 Thus recycling timber has become popular among the local people in order to reduce the cost of the new buildings," he said. 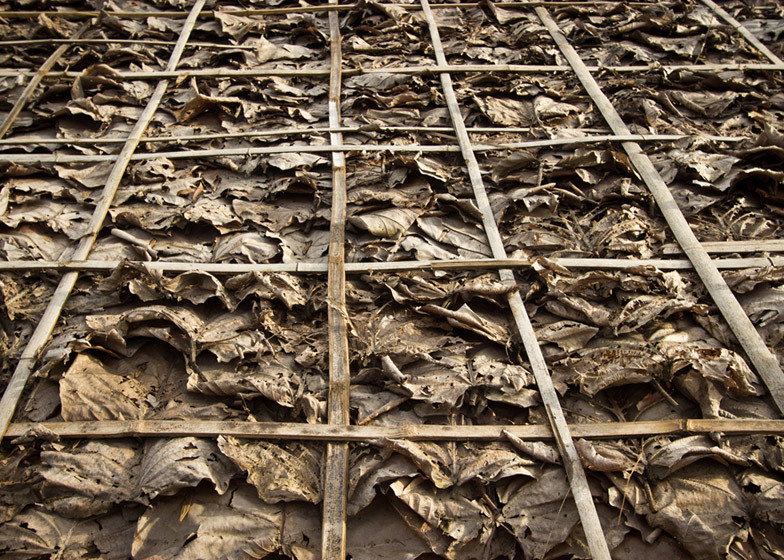 Lengths of bamboo form the walls, floors and ceilings of each unit, while the rooftops are covered in a thatch made from dry leaves. "Although these materials are not intended to last over two years without any pre-treatment, they are easily available every season and the cost is affordable and stable for the local people," said Glasmeier. Internally, a sunken central walkway spans the length of each building to create a simple passage between entrances at both ends. "The interior layout ensures an open and airy space that offers semi-privacy and includes storage space for the students," added the architect. The first of the five dormitories was put together in just four weeks, costing approximately £1,300. The buildings can also be dismantled and reassembled in a new location if necessary. Construction is now nearing completion on a clinic designed by Agora Architects to accompany the dormitories.